Ashley Wilson is not going to be intimidated on the basketball court. Wilson will drive the lane with determination no matter how who is waiting in the key, pop a jump shot in a defender’s face with just an inch between them and get inside anybody’s kitchen defensively. Wilson imported what she calls her “street edge” from summer ball in New York City and has seen her game rise to new heights as a result. That confidence led to her being named to the first team of both the CHSCA Class LL All-State and All-FCIAC teams as a junior. This year, Wilson is back for her senior season, leading the Bears to a 10-0 start and the No. 3 spot in the GameTimeCT girls basketball poll while averaging 13.6 points per game. She is content being the focus of opposing defenses because of the talented group of players around her. She is one of only three seniors playing with a strong class of juniors. 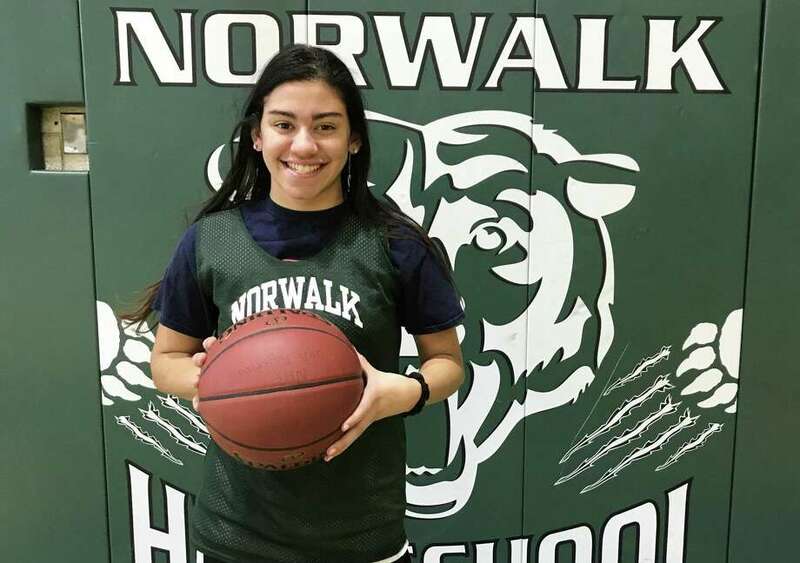 Together, the unit is one of Norwalk’s best teams in the past 15 years, and they are determined to return the program to the glory years of the late 1990s and early 2000s, when the team won three straight FCIAC crowns and the Class LL title in 2000. Wilson is not being called upon to dominate games, with multiple scoring threats on the floor at any time, though she has the ability to take over a game when needed. Wilson plays with a steady calm no matter the game situation, going about her business on the court the same way whether the team is winning or losing. Wilson prefers to talk about the team rather than herself, saying the team is growing stronger and closer as the season progresses, all with the same goals in mind. Norwalk lost in the Class LL quarterfinals last season to eventual champion Mercy. First up, Wilson would love to put a 2019 patch on the FCIAC championship banner in the Norwalk gymnasium, which has not been updated since Norwalk last won a FCIAC title in 2001. With Wilson’s “street edge” in full swing this season and a seemingly perfect mix of players around her, one of the best players in the FCIAC just might get to showcase her skills at Mohegan Sun in the Class LL championship come March.